If you’re searching for auto maintenance or automotive preventative maintenance near me in Scottsdale; Bridwell Automotive Center can help! Our team of technicians follow a detailed car maintenance checklist to ensure your vehicle is safe and ready for the road. Preventive auto maintenance is performed so that your vehicle stays in good running condition. Following the scheduled maintenance recommendations of your vehicle’s manufacturer minimizes the risks of breakdowns. In addition, it prolongs the life of your engine, transmission, cooling system, steering system and brake system. Additionally, checking fluid levels regularly and changing them as recommended or as needed by visual inspection is key to a vehicle’s longevity. Most vehicles driven in Metro Phoenix traffic should follow the maintenance recommendations in the severe service category. If you are driving a maintenance challenged vehicle, and you do not want your vehicle to age prematurely, pay closer attention to your fluids and filters. A critical piece of the puzzle is keeping your vehicle up to standard with the best preventive maintenance schedule. We treat your car like it’s ours. We offer a full list of preventative auto maintenance services that coverall of the important systems of your car. Each of these services help avoid excessive wear and tear on your vehicle keeping it in great condition longer. These services also help avoid some of the more costly repairs by fixing issues while they are small. We are a large part of the community we serve. Most of all, we aim to make it a better place every day. 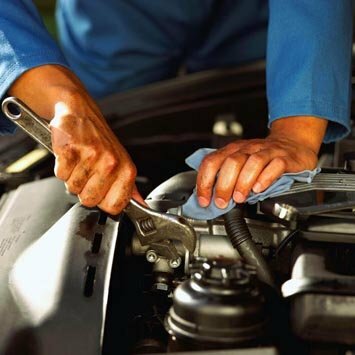 Consequently, if you are in need of preventive maintenance services, we can take care of you. We believe in the quality of our staff. Because of this, we guarantee your satisfaction on each and every job that we undertake. We are car lovers as well as people lovers! Come in to see us at Bridwell Auto Center in Scottsdale, AZ! Contact us today with any vehicle related inquiries.